Living in Austin, I had always seen Hotel Van Zandt while out on Rainey Street but always wondered what was beyond the black facade. The location is perfect, and the one time I went to their pool bar during ACL I was equally impressed by their cocktails and Lady Bird Lake views, but what would it be like actually staying there? 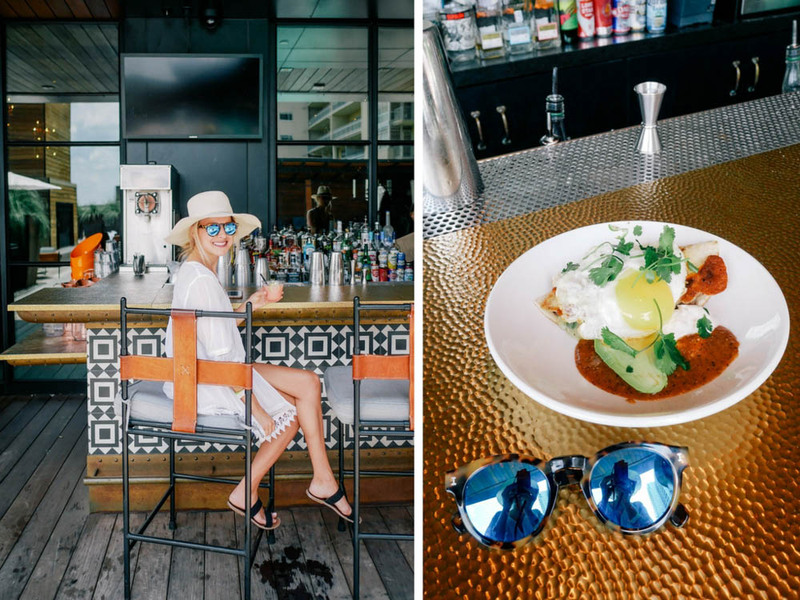 Most Austinites know Hotel Van Zandt for Geraldine’s, the on-site restaurant that has nightly live music and delicious cuisine. 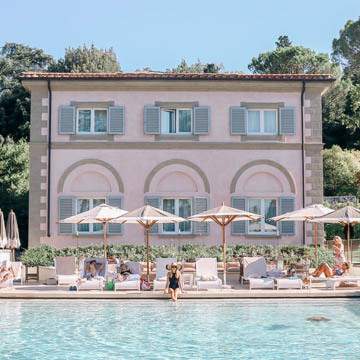 But Hotel Van Zandt offers much more than that. The staff, the little added touches that make you not feel nickel and dimed (hello daily happy hour & morning coffee) and the Austin-inspired room decor are just a few of those things. 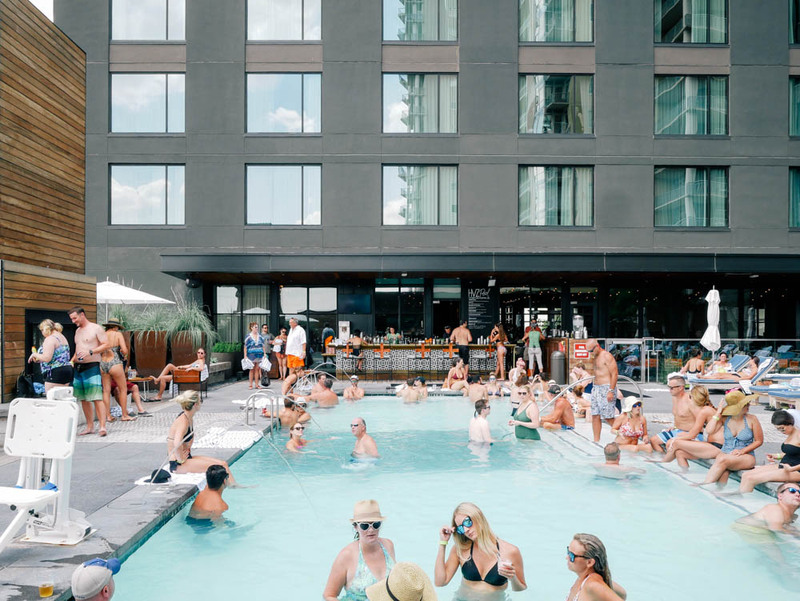 If the Rainey Street location and Kimpton name isn’t enough to convince you to book, take a look below at what a perfect day at Hotel Van Zandt looks like! 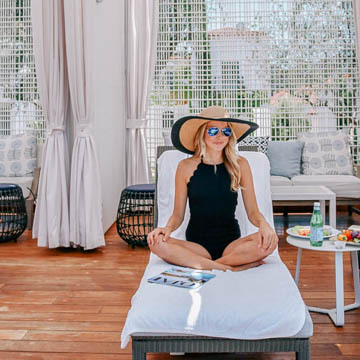 Suite Deal – Upgrade to a Premium Spa Room for half the cost! 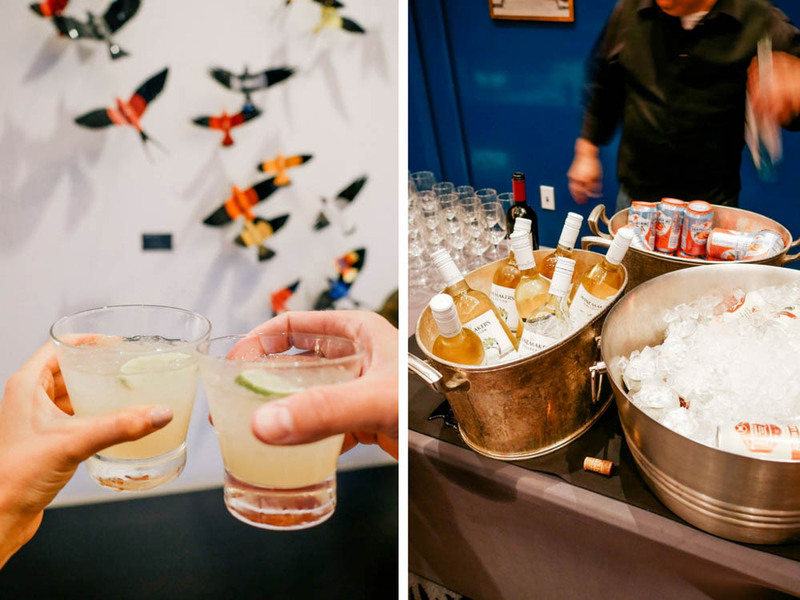 CONTACT ME TO BOOK AT CHELSEA@PASSPORTTOFRIDAY.COM! We dropped our bags and headed straight to the lake! Stand up paddle boarding is a popular activity in Austin and is a fun way to get active while being outside. 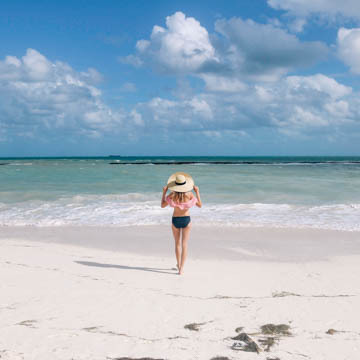 Hotel Van Zandt concierge can help show you where to go! Excited to start experiencing the hotel, we headed back to Hotel Van Zandt to check into our room. 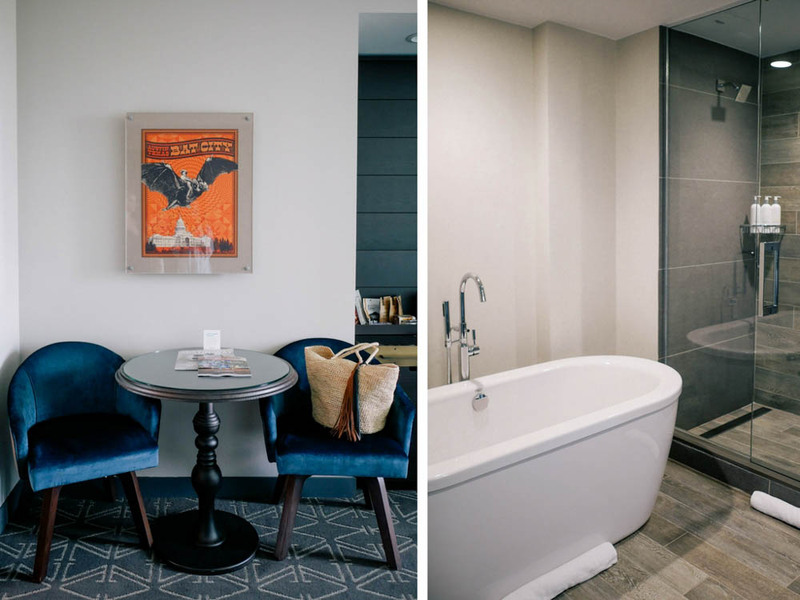 We stayed in a Lakeview Spa Suite, which was extremely spacious with both a view of Rainey Street as well as Lady Bird Lake. I loved the modern yet edgy decor that really embodies what is Austin is all about. There are so many small details throughout the room that showcase Austin (check out the wallpaper behind the bed and the “Bat City” poster). 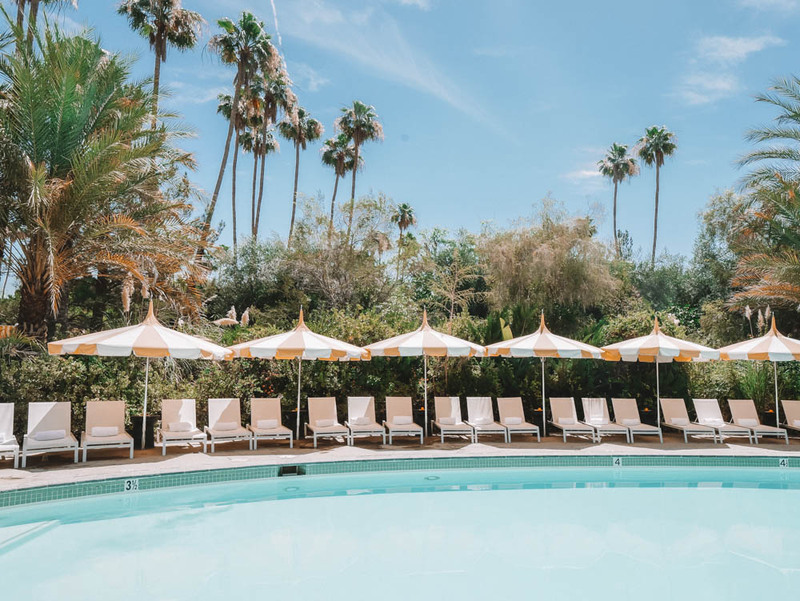 The pool scene at Hotel Van Zandt is definitely a fun one, but still welcomes guests looking for a more mellow atmosphere to lounge in the nearby chairs or cabanas and relax. We had a fun time grabbing a cocktail and just soaking in the Austin sunshine! 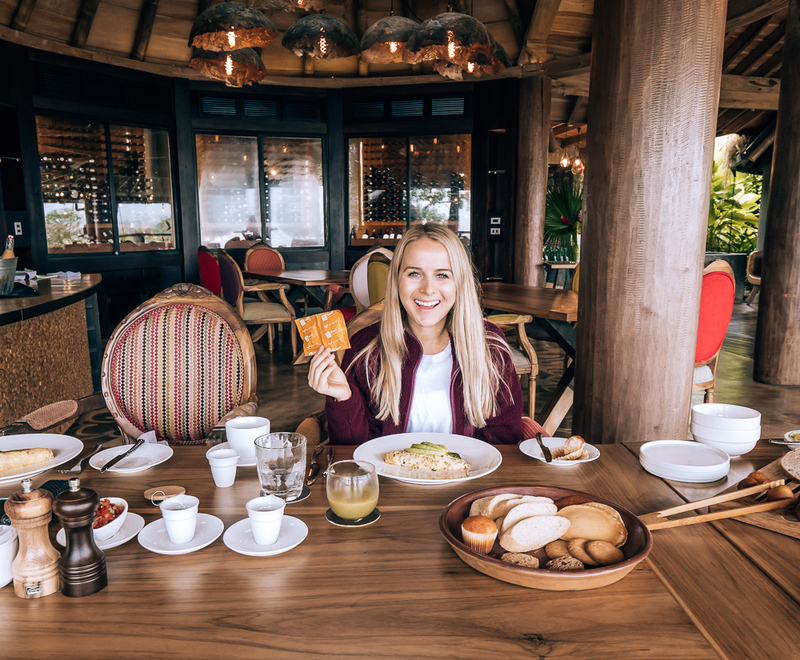 On weekends you can order brunch at the pool until late afternoon. Insider Tip: Rent a cabana for $500 which includes 3 bottles of champagne or a bottle of Tito’s Vodka. 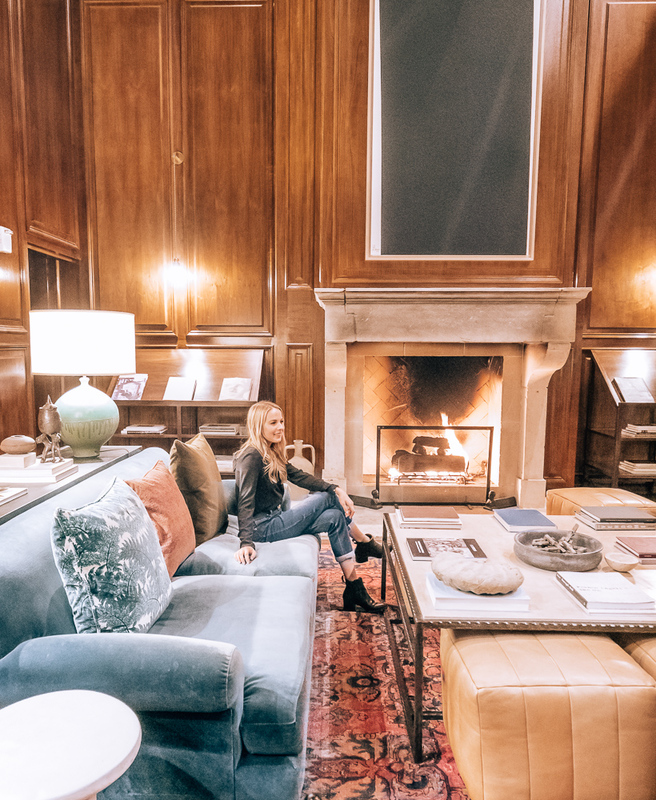 I’m all about a free happy hour, which is one of the many perks of staying at Hotel Van Zandt. From 5 to 6pm daily, hotel guests are welcome to grab a cocktail (or two) down in the lobby and get to know fellow hotel guests. There was a selection of margaritas, a bourbon cocktail, beer & wine available when we went. We both agreed the margaritas were SO good – and being from California & now living in Texas, I am a tough critic! 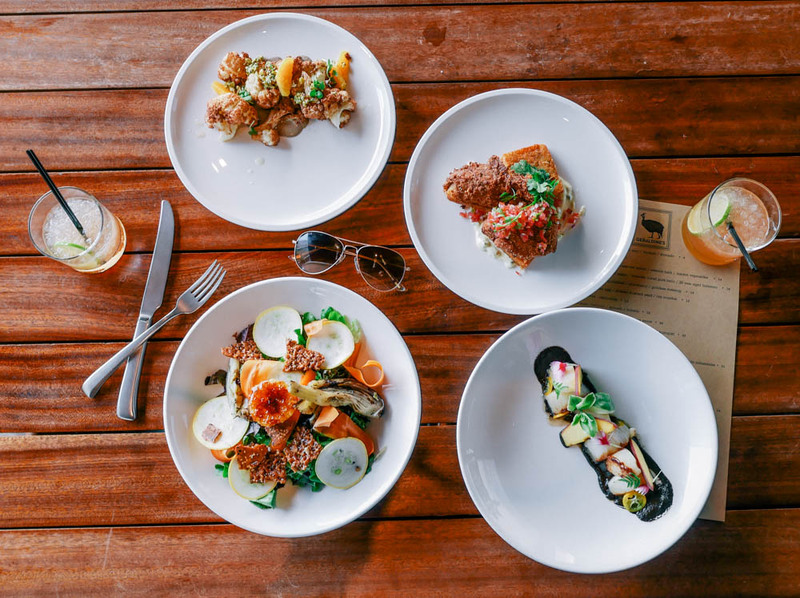 The restaurant on-site at Hotel Van Zandt, Geraldine’s, is a scene in itself for Austinites. The food is fresh and delicious, with cocktails and an ambience to match. Just look at how gorgeous that food plating is! 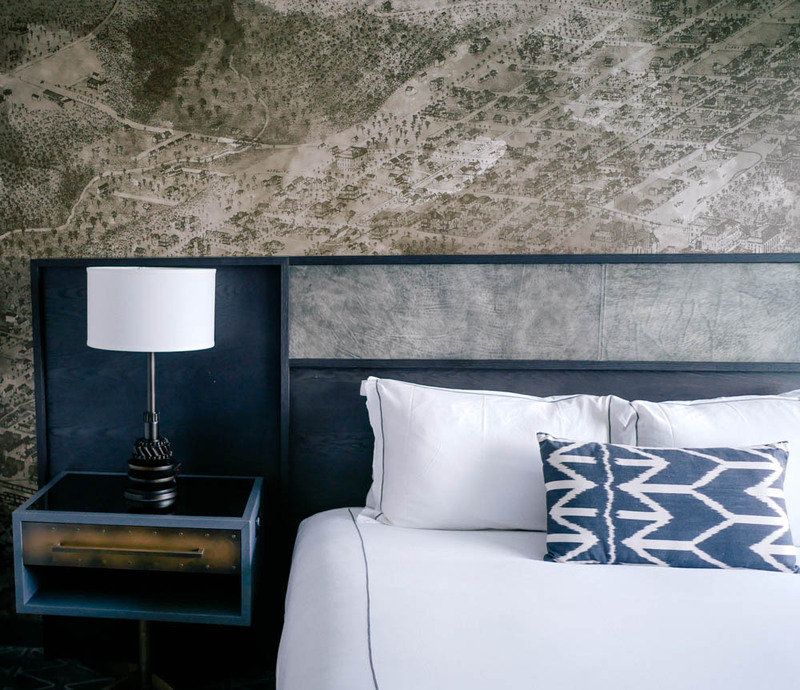 It’s no secret that Hotel Van Zandt’s location cannot be beat if you are looking to experience one of Austin’s favorite streets – Rainey Street. 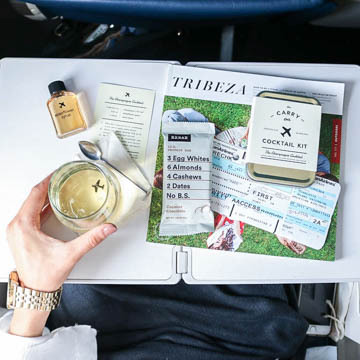 You won’t have to stray far for a night filled with fun. 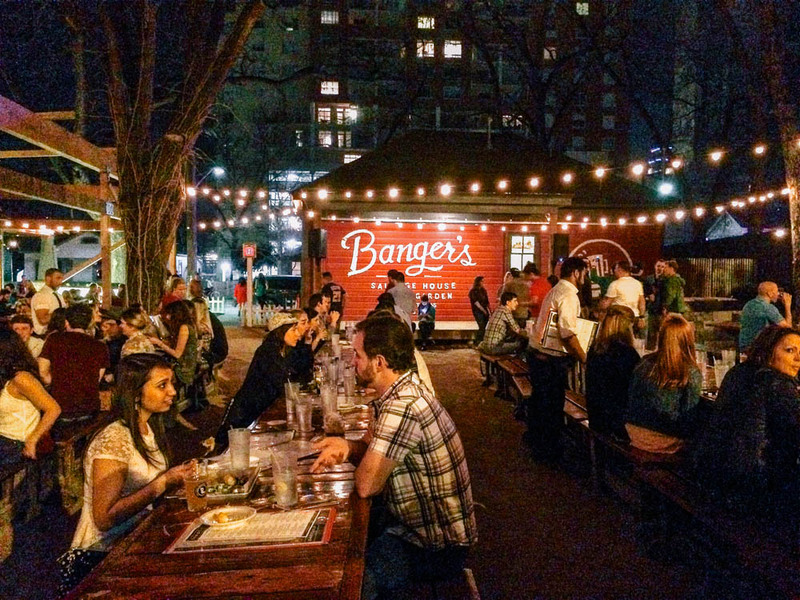 Head to Banger’s for sausage & beer, Blackheart for a great bourbon selection, Icenhauer’s for sangria in a large mason jar, Clive for their secret mezcal bar, L’Estelle House for their calm backyard with wine on draft, and more! When in the Live Music Capital of the World, seeing a show is a must! One of the many things that makes staying at Hotel Van Zandt so great? 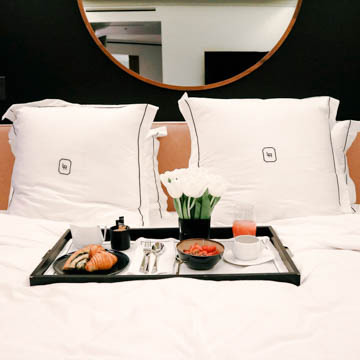 You don’t even have to leave your hotel to experience it. 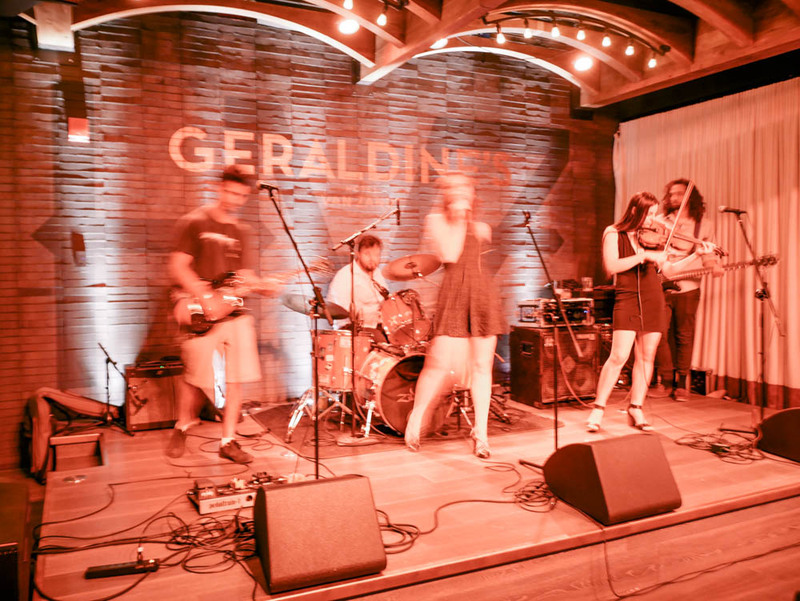 Head on over to Geraldine’s for a nightcap and great, local music. Check out Geraldine’s live music schedule here. 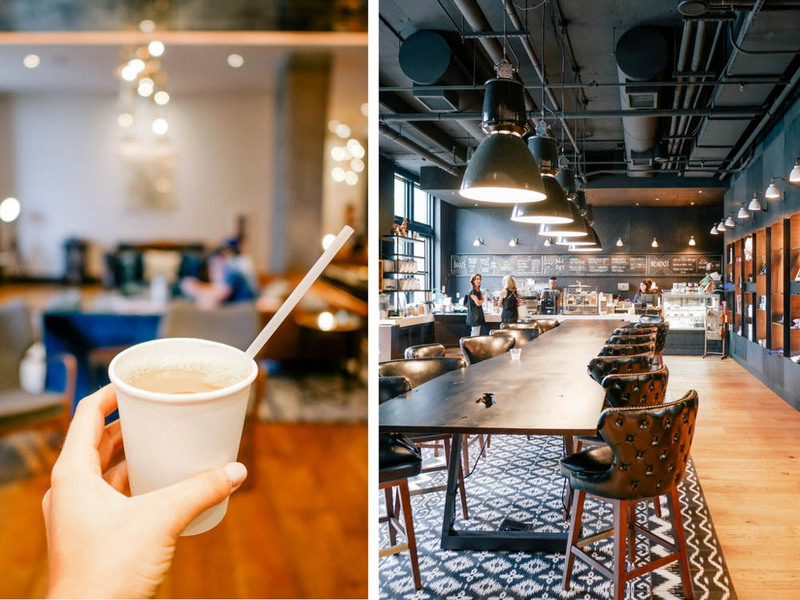 Free coffee, cold brew & tea is served in the lobby every morning. I brought it up to my room and got back in my PJs to ease into the morning. 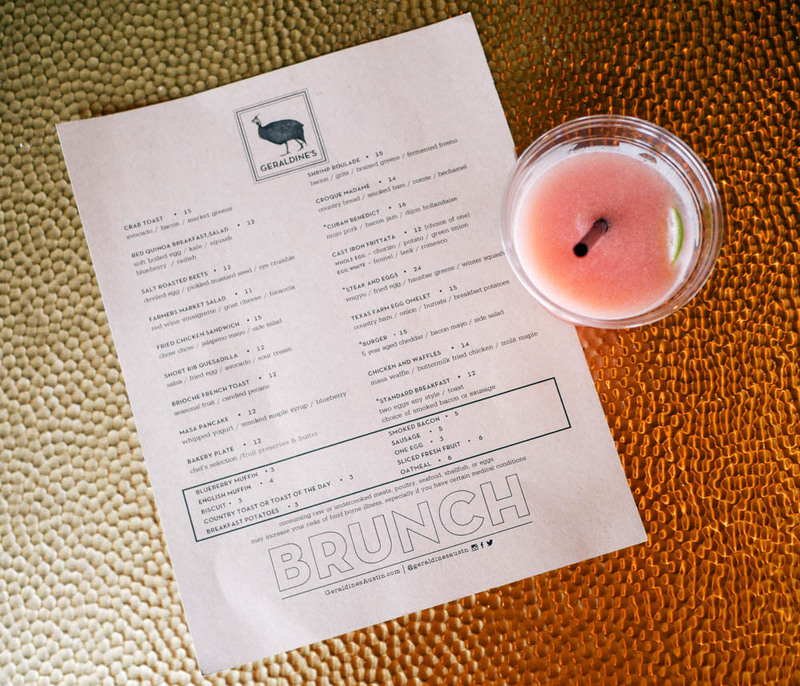 Perfect for fueling up for an active Austin day! 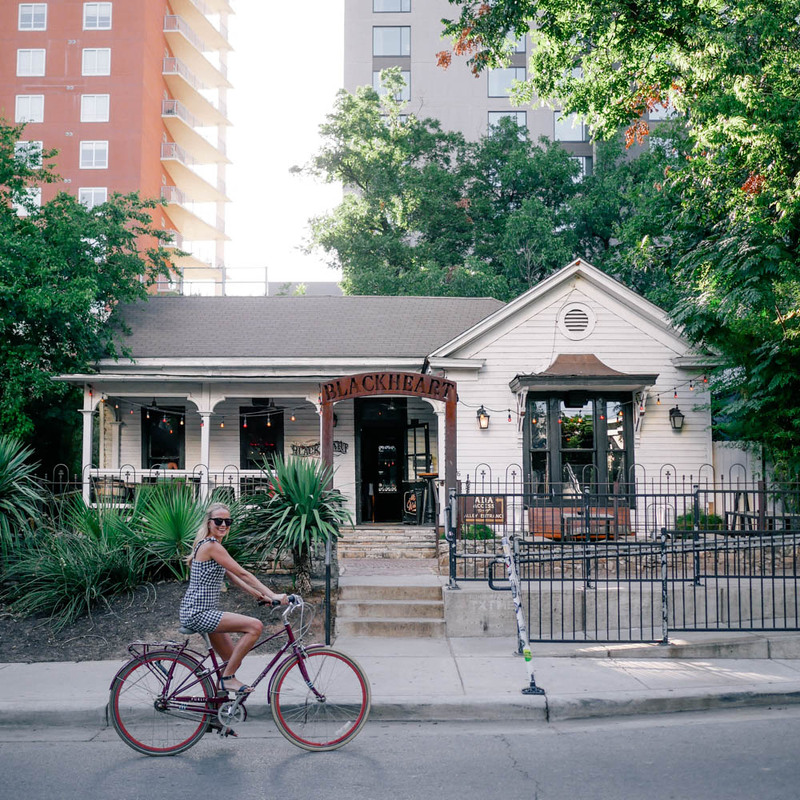 Utilize the free bikes offered at Hotel Van Zandt and explore Austin via bike! Use them as your morning exercise or take them for a spin to grab brunch somewhere.